Openreach (BT) has today launched their consultation on the prospects for a “large-scale” roll-out of Fibre-to-the-Premise (FTTP) ultrafast broadband technology across the United Kingdom by around 2025, which in theory could see the operator’s “full fibre” network reach up to 10 million premises. At present the operator’s roll-out of 1Gbps capable FTTP technology is expected to reach 2 million homes and businesses by 2020, while their ‘up to’ 330Mbps hybrid-fibre G.fast solution will do 10 million premises by the same date and many more by 2025. 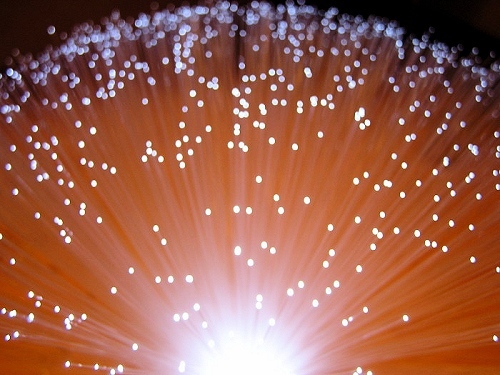 However Ofcom, the EU and the Government all want to see more “full fibre” in Openreach’s diet. Openreach has previously said that such a deployment would only work if they had support from major ISPs (e.g. TalkTalk, Sky Broadband), Ofcom and the Government (e.g. protection for their investment against aggressive regulation and or charge controls). The operator has recently also hinted at a desire to move people on existing broadband products to FTTP, which might enable them to retire some of their copper services sooner rather than later. · Greater collaboration, including new investment, risk and cost sharing models. · Agreement on how mass migration of customers onto the new platform can be achieved. · Reducing logistical barriers, like improved planning and traffic management processes. · Agreement on the right way to spread the costs of a FTTP investment. · A legal and regulatory environment which encourages investment. Since FTTP coverage is still very limited then it’s likely that Ofcom might be willing to offer a period of protective grace, much as they did for FTTC some years ago (note: the high cost of FTTP may require an even longer spell of protection). By using new techniques, we recently halved the cost of delivering ‘full fibre’ infrastructure, but building a large-scale network is still a huge commercial, technical and logistical challenge that’s going to need real ingenuity, flexibility and coordination across government and industry. With the right conditions we believe we could make FTTP available to as many as 10 million homes and businesses by the mid-2020s, but we need to understand if there’s sufficient demand to justify the roll-out, and support for the enablers needed to build a viable business case. That includes removing barriers to investment and incentivising those, like Openreach, who are prepared to take a commercial risk. At present it’s still early days and we don’t yet know precisely what kind of support Openreach will get from ISPs, although they’re unlikely to be direct financial contributors unless the operator agreed to make it easier for such providers to differentiate their services from the standard wholesale offerings. We can’t see that sort of debate ending in much agreement, but you never know. Lest we forget that the 2017 Conservative Manifesto (here) set a target of 2022 for achieving 10 million premises “connected to full fibre” (FTTP/H). Mind you Alternative Network (AltNet) providers and Virgin Media might well be able to deliver around half of this requirement and Openreach’s existing plan for 2 million via FTTP already gets us quite close to the 10 million figure, but more will still be needed to hit the target. At this point it feels almost inevitable that Openreach will do more FTTP than currently planned, although we’ll have to wait and see how much further they can go, as well as in what form it might take. For example, Openreach could sacrifice some of the planned 10 million+ G.fast premises and convert those to FTTP or the FTTP roll-out could be entirely separate from the current G.fast plan. Otherwise Openreach has invited responses and any comments or views on this consultation must be sent in by 29th September 2017. Has this story not already been on here more than once before? Openreach only announced that they would do a consultation in May but today they’ve actually launched the consultation itself and set out their focus for it, which is more detail than we’ve had before. From looking would it be right to say this is still just a talky, talky we might do it stage rather than any commitment? They need to publish the consultation. Fantastic that they halved the deployment cost. It’s not a public consultation, it’s for stakeholders of OR. Yeah, that “halving” stood out to me. That ought to be significant. Anyone else thinking that they might be worryied they might not be allowed to use the word fibre in there marketing for FTTC/G.Fast soon? Its a shame that even if openreach get what they want people will still moan. Sky/TT have a vested interest in ensuring the opposite so they can try and carve up what’s left of the BT empire whilst milking the cash cow. Is BT (Retail) allowed to build its own infrastructure? Independent of Openreach? After all Sky / TT / and others are allowed to (even though they probably won’t) so why not BT? They could, however they won’t. Retail are BT Wholesale’s anchor tenant and they in turn are Openreach’s. Retail going straight to Openreach screws Wholesale; Retail building their own screws Wholesale and Openreach. OK… so how about if BT Wholesale set up their own infrastructure? Duplicate Openreach you mean? They are already heavily regulated, and would likely be regulated on the new network too. It would be insane of them given they have no fibre of their own, they use TSO and Openreach. Is it the whole of BT that’s regulated or just Openreach? It would be a shame if it was the whole of BT. Other parts of BT aren’t allowed to own or build things that duplicate an Openreach product – for the obvious reason that it would be a fairly blatant attempt to sidestep regulation. So why don’t the big internet based companies get targetted to contribute to these costs, after all, they stand to gain BIG off the back of faster internet? i.e. Netflix, Amazon, google, microsoft, spotify, Sky. They all stand to sell more subscriptions etc. Content providers pay for connectivity already. They shouldn’t pay for ISPs’ or telcos’ networks directly, too. The content helps ISPs sell connections to their customers. ISPs pay for access to wholesale networks. It’s all very well but I expect I won’t be included in those 10 million homes. Can I not have something faster than 1.25Megbit/s first? Do not be so sure. 10 Mbps USO will be there for you and me. The thing is, our lines (definitely not mine, a long urban EO line made of aluminium) cannot be upgraded to 10Mbps by just tinkering with something. My line and probably yours as well will not be able to deliver 10Mbps with any known technology by just changing the signal travelling in the cables. If USO becomes law, they will need to address our lines before 2025. Now I am not a mighty business magnate but a lowly cyber security guy and I do not even claim to understand the finer aspects of running a near-monopoly business, but I would assume ours could as well be the first part of the promised FTTP delivery. They will have to dig up streets and build something to rearrange my line. There is no way they can spend a little money somewhere to get it to just above 10Mbps to meet USO requirement. If they need to do a major work anyway AND they will commit themselves to 10 million homes of FTTP by 2025, I would assume they would spend the money only once and count me in that ten million. Otherwise they would need to spend a lot of money to rearrange my line to provide <80Mbps VDSL without any capacity increase possibility due to local aluminium cabling, and they would need to spend more money elsewhere to reach their 10 million target. If your line is very rural and very remote where they plan to deliver USO by something else than a cable, it might be a different story. I’m relatively close at about 2km from my local fttc – lol. Nobody will offer me fibre for that reason…….but oddly Sky did one day……TBF I dropped back to their non-fibre offering as it was no quicker (but twice the price ofc). Depending on your currently ISP it may be worth considering, next time they do deal. The alternative is to get multiple bb connections and team them together……my 3mb connection is getting around 10mb now with 3 teamed up together……not cheap, but what option do I have!? Wish they could do it sooner, I lived in Edinburgh the capital of Scotland in a new development and all we got are copper lines with speed of up to 3mbps. What a joke. Maybe that’s all the developer asked for? If we are talking about new developments, why exactly is it up to the developer to decide what sort of cabling is needed? Openreach are supposed to be experts in this. They know of different technologies, trends and so forth. It would have cost them exactly as much to do a more future proof cabling than a rubbish one (probably EO), forcing them to eventually rearrange that to meet USO. Things must improve here and Openreach (or others) must be required to deliver future proof technology to all new buildings. This is something as an engineer I would have considered a no-brainer that would not require regulation or enforcement, but apparently this is not the case. If Openreach try to get protection money from builders to deliver something better than 1990’s technology and if not paid, deliver an outdated solution with pretty much the same cost it would have been with FTTC/FTTP, something is seriously wrong with the business model. Why exactly is it up to the Developer? Seriously? Ofcom’s main aim in regulating telecommunications is to make BT smaller, and to big up the competition. Competition, competition, competition. They want others to provide services … and can’t achieve this if they then force BT to be the ones to supply the developer – never mind dictating what service they get supplied with. Ofcom demand a freedom of choice here. Whose fault is it that most developers use that choice to go with the lowest cost? Madness, I agree. I certainly wouldn’t buy a house from a developer like that. But it seems that plenty of people don’t even bother to check. Do developers decide details about water and gas supply, or will it be up to those who provide this infrastructure to determine what is needed? Unless a developer pays a hefty sum to a water company, they will install leaking pipes from Victorian era instead of solid new ones just to annoy the residents, being well aware that they actually need to fix the leaks at some point on their own expense anyway. Sure, I understand developers can – if they so desire – pay extra to fibre providers for premium service (if any extra payment is even needed – some might do it for free). I just do not understand why it is up to the developer in 2017 to request internet infrastructure suitable to year 2017 and pay for it, unless they are happy to take something that was good in 1997 – which the telecomms provider probably needs to fix on their own expense at some point anyway. 2017 baseline must be (at least) FTTC as Openreach are eager to advertise how this technology reaches 90+% of the country, not ADSL. How many varieties of Electricity, Gas and Water can a developer choose from? Solar Panels are increasingly being fitted to new HIGH end premises. They have also reached the stage now where if you have enough batteries to store the energy you do not need the mains power. In fact the power company will in a sense buy the unused electricity back from you. Butane/Propane (used more often for small retirement developments and mobile homes). ALL 3 and who can supply have far tougher rules than any broadband supplier and the work (eg. a gas main) i can assure you is inspected in far greater detail and most importantly independently of the supply company before any gas is even let through a pipe. Do Openreach have an independent come along and check their work to make sure its up to scratch and the developer gets what he paid for, before things go live? It’s entirely the developer’s responsibility to provide all the infrastructure – telecoms, power, drains, water – even the roads. Once the development is complete the developer invites the relevant body to adopt whatever they’ve built. I’m not even sure a developer could contract Openreach to do it as Openreach can only take orders from and provide service to telcos. I know Virgin can and do cable up new developments, but they don’t have the same regulatory restrictions placed on them and can take orders from developers. Openreach follow well defined regulations, is it regulation for an independent inspection? If not I guess you have your answer. Electricity supply and solar systems as explained are increasing in take up especially high end developments. LNG (Liquefied Natural Gas) is actually supplied more than mains fed in some parts of the country. Developers in those parts do not always have the option of traditional mains gas. The same goes for the Butane/Propane option, often in a large tank for small developments. Water and the tower and or tank options are also not down to a developer. They can request mains fed but in some areas they will not get it. RE: Openreach a bit weird to even compare them to any of the above seeing as their work is not independently inspected to ensure it meets requirements. I doubt you would find a gas installer being able to get away with saying they followed “well defined regulations” so there is no need to check if it leaks first. So we are agreed there are differences between gas, electricity and telecommunications regulations then? I never did disagree they were different. The poster h42422 already pointed out a developer when it comes to gas, electricity and water can not ask for an inferior product to be installed. They will automatically be given the most suitable and safest product for the location. Those 3 industries have tough regulations, the developer has little say in how the product will be delivered. No say in the pipes it will come through, no say in the quality of the water delivered, no say in the type of specific gas which will be used (he cant pick if it will be home grown or overseas gas) and no say as to what voltage electricity will be. With broadband that does not seem to be the case though. Openreach and the regulations of this country still seem to allow them to provide an older product of lesser quality than the latest fibre services available. Im not sure why 125uS, MikeW and Gadget think when it comes to Gas, Water and Electricity the choice and quality of the product and how it is delivered is up to the developer, when they have very little say in the matter. I as a developer could not for example order special murky unfiltered water to save a few quid. Its a shame the same can not be said for broadband, of course that is more down to government and regulation of the industry rather than Openreach. Openreach could help the situation though by no longer offering a developer a cheap ADSL only solution or similar inferior products. Why Openreach still allow new build developers to order a cheaper and lesser quality product i do not know, especially as at some point it may well be to the cost of Openreach to upgrade it. One thing is for sure as we agree broadband is in no way the same as the other 3 utilities mentioned. Good to see you are finally understanding how it works, but not quite yet. Again regulation prevents this, Openreach is a provider and cannot choose which of its products to ignore/discount from supply. If it held back copper and its xDSL overlay that would prevent almost all ISP’s in the UK from providing a service. Do you think the quality and type of plumbing in a £1M house is the same as in a block of social housing? Or that the more expensive house won’t come with network cabling, many more mains sockets, pre-wiring for burglar alarms, shower circuits to all the en-suites and so on? It’s not their call. The developer will install whatever they like. They might pay their electricians to install copper and invite Openreach to adopt it, equally they might install co-ax and invite Virgin to take it. Openreach don’t regulate the industry. If Openreach are going to adopt it, there has to be copper because regulation requires them to deliver copper pairs back to the exchange for connection to ADSL kit or voice equipment owned by TalkTalk or Sky or whoever that’s in the telephone exchange. It’s known as MPF – Metallic Path Facility – and it’s a regulatory requirement that I don’t think will be going away anytime soon. Openreach are mandtated to provide copper phone lines to any premise on receipt of an order from any UK telco. How in the majority of cases and areas with Openreach FTTH is the actual telephone service provided. I thought that they still provided that over copper, especially in areas that have been given FTTH but also have a current copper line. Also if they did FTTH instead i do not see how that would stop others selling the product. Other providers sell FTTH do they not? It would be no different to situations which can only have xDSL products at the moment and not fibre, just better for the purchasers. You seem to be confused about what a Gas, Electricity and Water service providers actually provide. Fixtures and fittings, IE how many bathrooms, taps in the house, rooms with gas fired central heating, mains points etc have nothing to do with infrastructure providers those jobs will be carried out by gas fitters, electricians and plumbers. An architect would design it, then submit it to the developer who in turn submits that for planning permission to the relevant authority. The likes of Transco are not involved until they come to the site to see the best way to get the gas to it. NO, infact its illegal for anyone except Openreach/BT to tamper with a master socket, it would also be stupid to install it if the area had no phone service currently. The developer would also be breaking laws by even installing something to act as a Master socket in the first place which was not installed by Openreach or their contractors. An electrician will do the electrics not the BT wiring. An electrician may be paid to run CAT5(RJ45) cables to each room but that is nothing to do with BT, stuff like that could be used for a CCTV system in a property with no phone services at all. Oh and id like to know how they are going to install VM coax, seeing as the ONLY run of coax which goes to the house is fed from outside the property and VMS network. Some how i do not think even if the development is on a site with VM already that Virgin will be happy with some electrician opening up their large and small manhole covers to not only run coax to the new homes but connect it to something the developer does not own. VM would be the ones responsible for who does that work. Not joe the developer and his electrician from down the pub LOL A developer in many cases would not even know what type of wire VM use, or the type of terminal the wire needs at each end. Again you are utterly confused between what Openreach have to do and what a developer is responsible for. Openreach if they are chosen would install the product, im not sure why you think or where an electrician comes into the situation, do you think Openreach come along install some phone poles with copper back to the exchange but not run cable from pole to house and not fit the new house with faceplate? Well at least this now explains why you think its up to a developer in regards to how gas, electric etc is installed. OH and roads, the other i forgot from you is not up to the developer either, they can request a road to their housing development, the Highways agency along with lots of government and council red tape will decide how it will run their NOT the developer. Oh and then they may also turn it down. Which may kill the development before it even started. Openreach’s own guide for developers disagrees with you – it tells developers how and where to install cables, ducts and master sockets if the network is to be adopted by openreach. Again – it disagrees with you. The contractors installing electricity cabling, employed by the developer, will almost always do the telephone cabling too, both inside the properties and outside. The only wiring it mentions the developer can do is extensions. A developer is does internal extension wiring, anything from faceplate back to exchange is Openreach property. Network cables of any type in a home have nothing to do with Openreach. A buyer if they wished can alter those to their desire or even rip it all out (someone may be stupid enough to want to). That link also further states “Field Based Coordinator (FBC) (previously known as a new sites representative)…… They’ll guide you through the installation requirements and arrange periodic inspections of your network build activity. Your FBC is on hand to make sure the onsite and internal plot infrastructure are built to OUR SPECIFICATION and it is our ambition to deliver the capability to place an order with a service provider ahead of your customers moving in their new homes. We know customers want to get connected straight away and we’re committed to working with you to deliver this expectation. Try to note the capitalised bits, thats OPENREACH specs a developer is working to via the FBC not their own shove wires and ducts as they please spec. Hilarious you still think its all down to the developer as to what gets installed, where it goes and who does it. Then we shall have to agree to disagree. I’ve no interest in arguing about this. Yet you wasted as good as 2 days doing so. Re: gas connections for new builds, many house builders will opt for a Independent Gas Transporter (IGT) supply to save cash rather than use the mainstream Transco network. This leaves the house buyer facing higher gas prices (potentially) and similarly the house builders will often choose (or used to) the cheapest option for telecomms, ie bog standard copper. You might like to know most properties constructed since around 2005 use an IGT (Independent Gas Transporter) so nothing new or recent. 1)wrong. not all new builds since 2005 are connected to an IGT supply. My house built in 2008 is connected to IGT yet a current development up the road is connected to transco. It all depends on the developer. 2) some, but not all energy suppliers charge extra if you’re connected to an IGT supply. Luckily my own provider (Flow) doesn’t charge extra for my gas supply but there’s still a few which do and 1 or 2 won’t even take on IGT customers!! Clicking the embedded links within the OFGEM one ultraspeedy originally provided leads to the AIGT (Association of Independent Gas Transporters site. Finally someone that can read things fully. I wonder if the fact they’ve managed to recently halve their deployment costs might mean that FoD might become a bit more viable in the not too distant future? I don’t imagine it but I live in hope. Same here, FOd is realistically my only option for better connectivity unless I wait till post 2020 and see what happens to ‘the rest’ in Scotland. Sadly despite the deployment cost reductions I’ve read about we still seem to have to pay circa £300 pcm for a service. I’ve no idea how this figure is arrived at. If native fttp can be offered so cheaply, why is FTTPoD so expensive?